Blog blessings. | Scuffalong: Genealogy. Blog blessings. – Scuffalong: Genealogy. 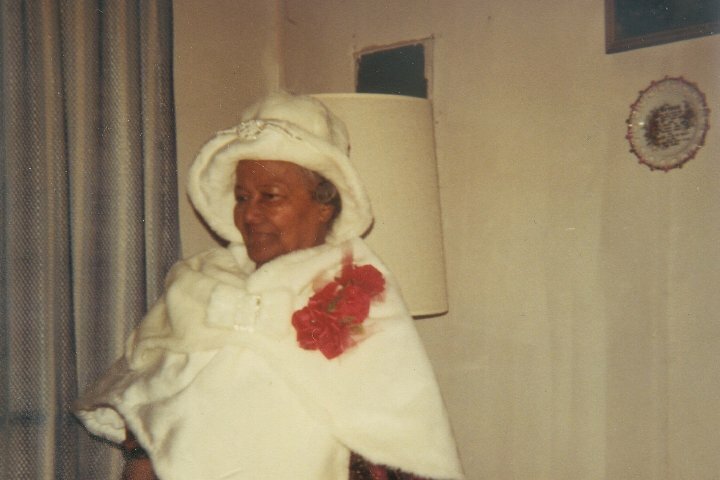 On October 23, I blogged about connecting with D.J., a descendant of my great-great-great-grandparents Adam T. Artis and Robert and Mary Eliza Balkcum Aldridge via Lillie Bell Artis Thompson McDaniel Pridgen (1891-1935). A month and a half later, quite separately, I heard from P.M. via this blog. P.M. is also descended from Lillie Bell, though from her marriage to Celebus Thompson. (D.J. is from her second marriage, to McDaniel Whitley.) To my surprise, P.M.’s great-grandmother, Lillie Bell’s daughter Genetta Thompson, married Phillip Elmer Coley, a grandson of Winnie Coley. In her short life, Lillie Belle had twelve or so children. Many migrated north to New York and New Jersey, though, and I had not been able to trace them forward. So glad Scuffalong is bridging that gap! Just after Christmas, P.P. commented on “All of my possessions to have and to hold,” which featured by great-great-great-grandfather Walker Colvert‘s will. She identified Daniel Mullis, one of the witnesses to the document, as her ancestor. P.P. not only lives in the Eagle Mills area, she’s an avid genealogist and local history buff, she’s my cousin! Her great-grandmother Rebecca Ann Nicholson Barnard was a sister of my great-great-great-grandfather James Lee Nicholson. P.P. has a lifetime of knowledge about northeastern Iredell County and has volunteered to help me in any way possible. Two things she’s already shared: (1) The Welch-Nicholson house didn’t just fall down from age and neglect. It was torched by hooligans out on arson spree. This was back, probably, in the 1980s, not very long after the house achieved historic register status. (2) “Cowles” is pronounced COLES. Around the same time I heard from P.P., I received a message from P.W. She’d been talking to her grandmother about family history, jotted down some names, Googled them, and immediately found “Where we lived: 114 West Lee Street.” To my amazement, she is a descendant of Madie Taylor Barnes, who migrated to New York City during the Great Depression and lost touch with her North Carolina family. I’m looking forward to talking to P.W.’s grandmother soon. And then today: M.S. left a comment noting that her great-great-great-grandfather baptized my great-great-great-grandfather James L. Nicholson in 1842, and she’s a descendant of John A. Colvert, an owner of my great-great-great-grandfather Walker Colvert! Photo courtesy of Patricia Smith Muhammad. ← You will find something.